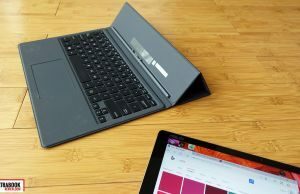 Summary: From what I can tell based on the tested sample, the Transformer 3 T305CA is a sleek and portable tablet with an excellent screen, great speakers and the performance to face daily tasks well. 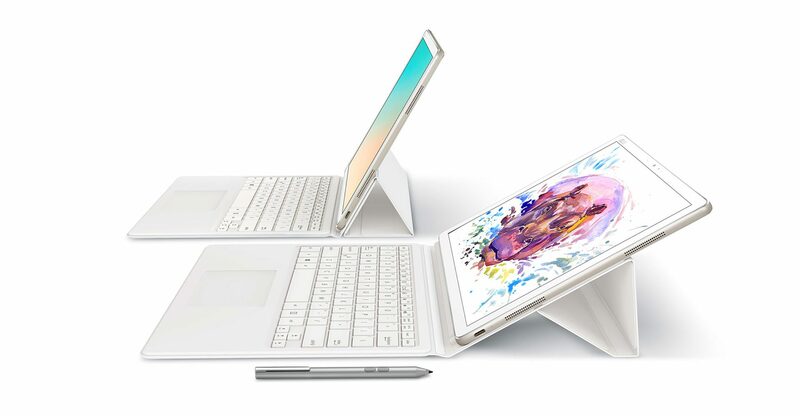 However, I feel that in order to make it thin and light, Asus sacrificed functionality by cutting off the kickstand and designing a limiting keyboard folio, which for me are deal-breakers, despite the fact that the device otherwise checks most of the right boxes. If not for these two the T305CA would have gotten at least a 4 out of 5. Read on to find out more. 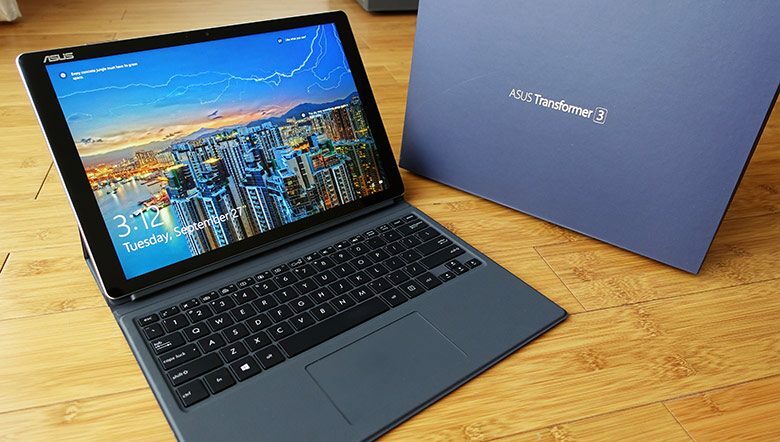 Asus launched an entire series of Windows 10 tablets earlier this year, and after I’ve shared with you my impressions on the Transformer 3 Pro T303UA in a previous article, I’m also going to cover the mid-ranger Transformer 3 T305CA in this post, with whom I’ve spent time in the last few weeks. 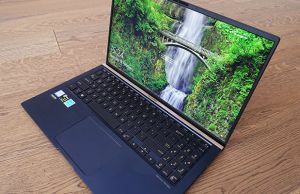 Its main selling points are a 12.6-inch touchscreen with digitizer and pen support, a fanless Intel Kaby Lake hardware platform and a Thunderbolt 3 port, all tucked in a thin and light metallic body. The T305CA is also more affordable than the Pro version, starting at $749. You’ll find where this device shines and where it trails behind from the article below. As a quick summary, it’s a pretty great device with a nice and bright screen, good performance for daily use, pretty good speakers and decent battery life. However, its practicality is limited by what I consider a poorly designed keyboard folio and the lack of an adjustable kick-stand, like on the Pro model or even the more basic Transformer T102HA, which in my opinion is simply a dumb design decision. Keep reading to find out why. 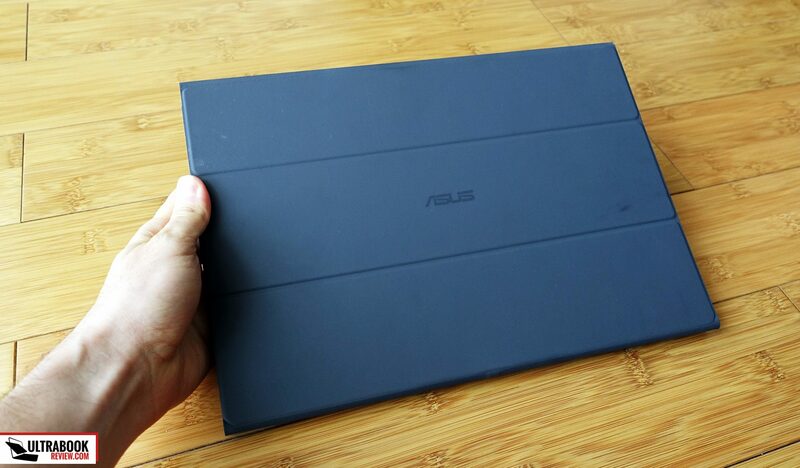 The Transformer 3 T305CA is one of Asus’s best built tablets ever launched. Metal is used for the entire case and the construction is solid, with little to no flex or squeaks when grabbing it in hand. 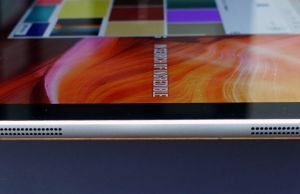 The chamfered edges and rounded corners also make for an excellent feel when holding it, and the textured back does have a decent grip. 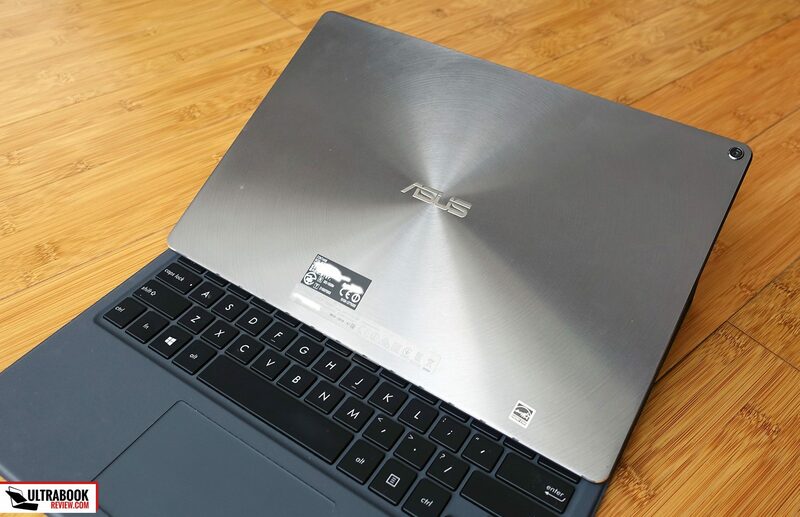 However, make sure you’ll treat the back well, that texture with concentric circles around the Asus logo seems like is going to scratch easily. 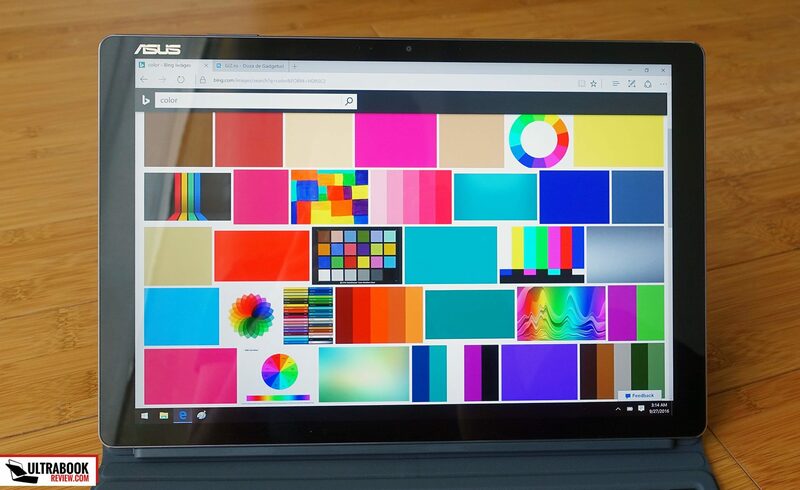 Asus offers this tablet in two color option, a darker one (Titanium Gray) that we have here, which shows smudges fairly easily, and a lighter one (Icicle Gold) that should do a better job at concealing them. 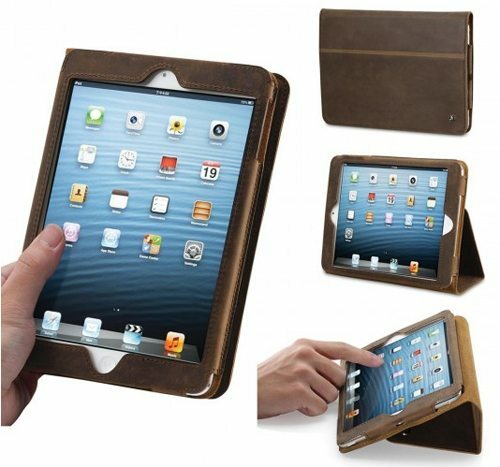 They are paired with matching keyboard folios that we’ll address further down, which are also available in shades of orange and beige. The thin profile and light weight are some of the aspects Asus advertises for the T305CA and for a good reason: at 7 mm thick and under 700 grams, this is one of the sleekest devices in its class, more compact and lighter than the iPad Pro 12.9 (which however offers a slightly larger screen) and only a tad larger than the Samsung Galaxy Tab Pro S (which only offers a 12-inch screen though). As a direct consequence of the sleek profile the IO is limited, with a single USB Type-C port placed on the bottom right edge, as well as a 3.5 audio jack (on the lower-left side) and a fingerprint sensor on the top end, which also acts as the Power button. 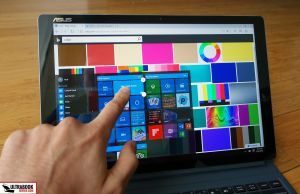 The fingerprint sensor works great for logging into Windows 10. However, the most important aspect of the IO is the Thunderbolt 3 compatibility of the USB C port, with all its potential benefits. There’s a larger selection of ultraportables with Thunderbolt 3 over here, if interested. When it comes to the IO it’s also important to mention that Asus bundle this tablet with an adapter that includes an USB-C port, a full-size USB 3.0 port and an HDMI connector, which you can hookup via the USB-C port on the slate when in need for extended connectivity. There’s also a larger adapter with two USB 3.0 slots, a card-reader, HDMI, VGA and LAN ports, plus dedicated mic and earphone jacks, alongside the USB-C connector, which you can buy on the side. Neither of these were included with my test sample though, so I can’t tell you anything about them for the time being. 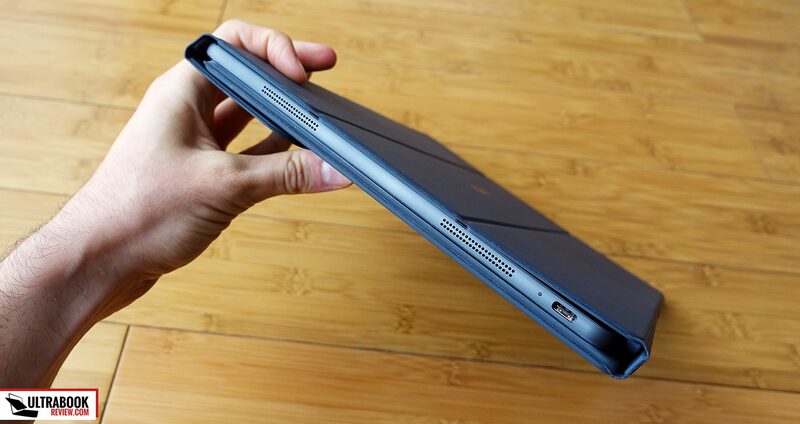 Bottom point, the Transformer 3 T305CA is a very well built and good looking tablet with a pretty large screen. 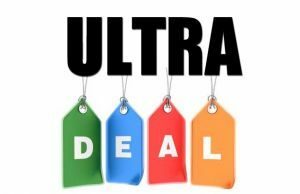 Its compact shape and light body weight make it great for everyday use and while the IO is limited, I don’t feel that’s a deal-breaker on such a device, especially since an adapter that will cover most of your needs is included. What I mean by “such a device” is a tablet meant mostly for daily use, for browsing, multimedia content, email, maybe some text-editing. I do most of these on my iPad as well and hardly ever needed ports, and keep in mind the iPad doesn’t offer any adapter in the box while the T305CA does, in case you want to hook up an external hard-drive to transfer some content or maybe output video via HDMI, if you don’t have a WiDi adapter for your TV. However, what bothers me the most is that there’s no way to actually use this device as a tablet unless you hold it in your hands or lean it by something. I use my tablet for watching video content in one of these cases that allows it to stand by its own on a flat surface. 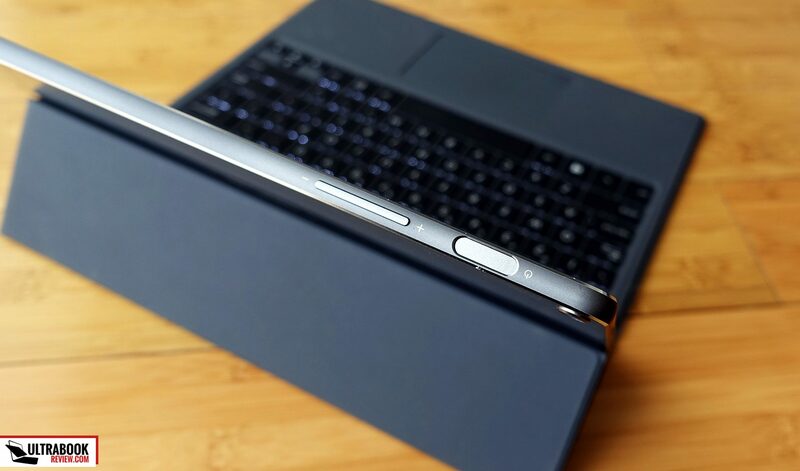 The Transformer Pro 3 can do that with the help of that kickstand on the back, which the Transformer 3 lacks, and the included keyboard folio does little for such use scenarios, as you’ll see below. 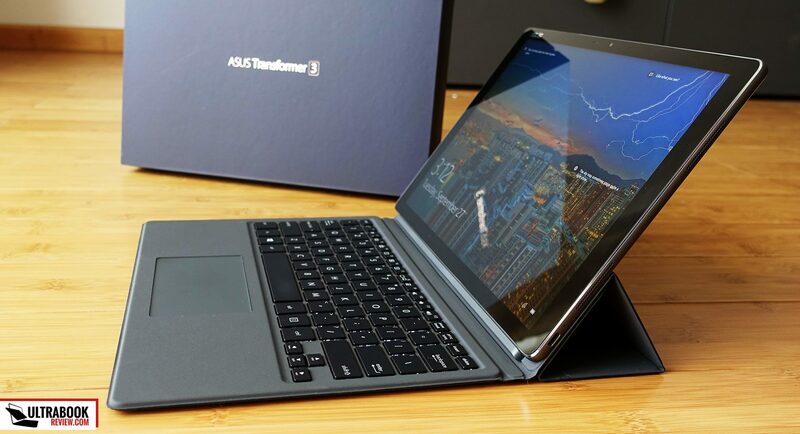 The folio Asus pairs the Transformer 3 T305CA with acts as a protective sleeve that wraps around the tablet when traveling, or as keyboard with a support for the tablet to rest on, with two fixed angles, as you can see in the pictures below. The sleeve functionality works fine. The laptop functionality is also decent. The fixed angles are however limiting factors, but also the fact that the keyboard part is pretty large by itself and requires plenty of space on your desk, plus it doesn’t offer a raised positioned like on the Pro model, so there’s no ergonomic inclination when typing. This keyboard just lies flat. Tablet functionality on the other hand is more basic than I’d want, as the sleeve cannot be used to support the slate in a stand mode, so you’ll pretty much have to disconnect the T305CA from the folio for tablet use. And that means, like I said above, you’ll either have to hold it in hand or perhaps lean it by something. So, if you want to watch a movie or an Youtube clip while eating, in bed before sleep (something I often do) or when flying in coach, there’s no way for the T305CA to stand by its own. 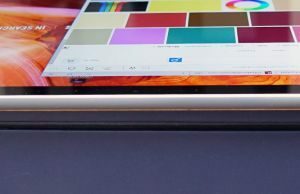 It’s true most other alternatives lack this ability as well, but at least for the iPad Pro you can find third party folios similar to the one I have on my iPad Air and get the needed functionality. 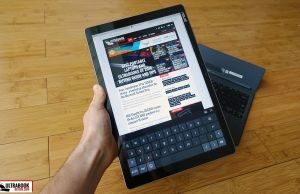 There’s of course a fair chance you might care little about these things mentioned in the previous paragraphs, but I for one sure do, mostly because I see this Transformer 3 as a potential alternative for an iPad and due to how I mostly use my iPad. That’s why I find Asus’s decision to skip the kickstand rather stupid, especially since they put it on most of their other Transformers. 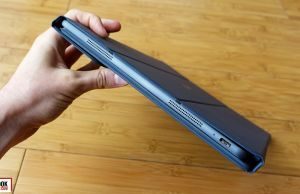 They did it to make the T305CA slimmer and lighter than the competition, but they hindered the tablet use experience as a result, which is again… stupid. 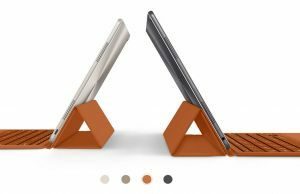 And BTW, other similar devices like the HP Spectre X2 or the fanless versions of the Microsoft Surface Pro do offer the kickstand. Anyway… let’s move on. 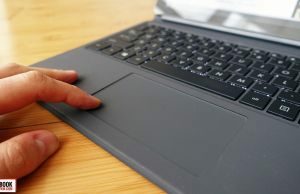 The tablet hooks to the keyboard folio via a physical connector on the bottom and the pairing is assisted by magnets, but is not as smooth as on the Transformer 3 Pro. 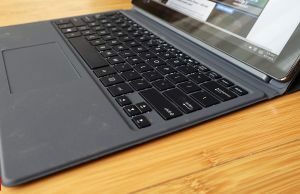 You pretty much have to place the tablet at a certain angle to hook up properly on the Transformer 3, while on the Pro you merely have to get the folio’s and the slate’s connectors in close proximity and the magnets would take care of the rest. Not a deal-breaker though, as it’s something you can get used to. 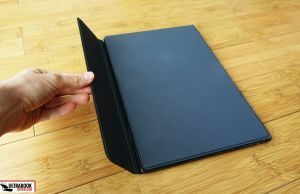 The folio is made from plastic with a soft velvet like finishing on the back and the interior, so it feels nice in daily use, is fairly sturdy and provides good grip on a desk. 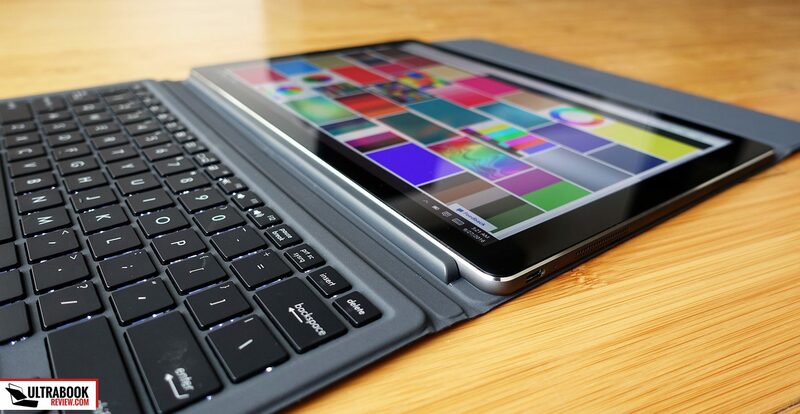 However, typing on this keyboard on your lap or any other uneven surface is damn annoying, because the tablet part is going to continuously wiggle, since it rests on the folio which is not entirely rigid and transmits vibrations while hitting the keys. So basically the only way you can actually use this device for typing is on a flat surface that stabilizes the folio. 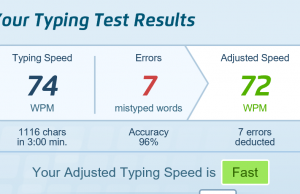 That’s a pity, especially since the keyboard actually types surprisingly well. The feedback is similar to the one on the T303UA’s folio, with an adequate response, good resistance and decent key-travel, at 1.4 mm. 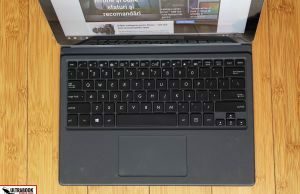 The layout is pretty standard for an Asus ultraportable and the keys are backlit, with three levels of intensity to choose from. 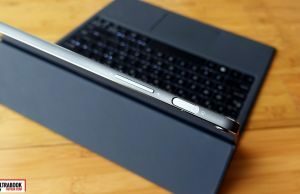 So bottom point, as long as you keep the Transformer 3 on a desk and have enough room on it for its keyboard folio to unravel, you’ll probably be happy with the typing experience. On the other hand, if you plan to use it in cramped spaces or on the lap, the folio’s design and chassis-flex hinders the experience to some extent. 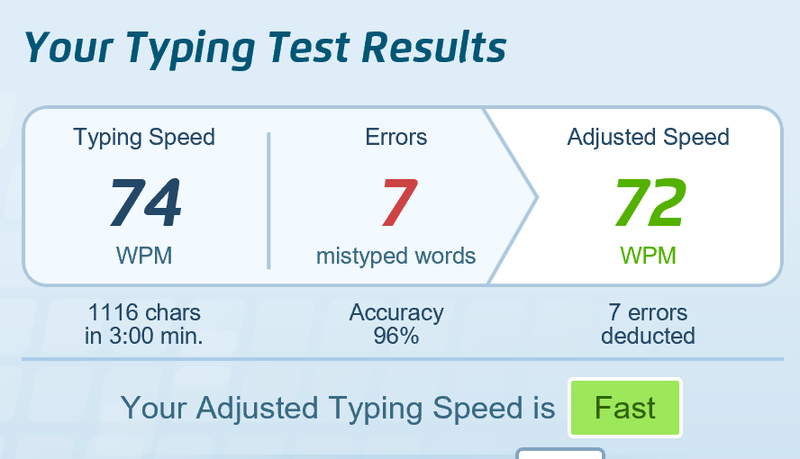 Even so, my typing speed test (picture above) was conducted on the lap, and I was able to type fast and with few typos. 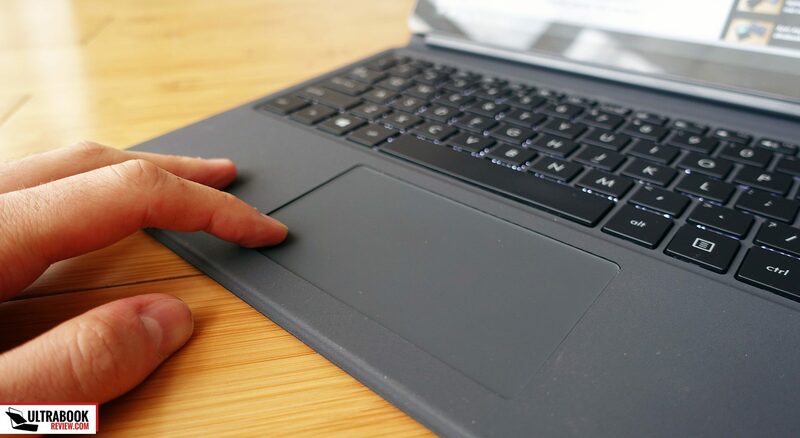 The trackpad sits beneath the keyboard, centered on the folio, and it’s a plastic surface made by Elan and certified as a Precision Touchpad, which means it leaves little room for adjustments and customization. Still, the experience is mostly OK with daily use and even the click buttons performed great, but I did run into occasional cursor jumpiness, especially when resting my left thumb on the surface and swiping around with the fingers on my right hand, which would cause the cursor to jump to the bottom left corner quite often. 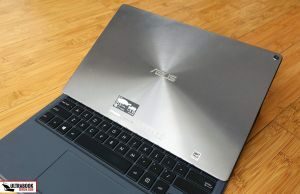 I noticed a similar behavior on the Transformer 3 Pro and most of the recent Asus Zenbooks, so hopefully that’s something they’ll be able to address with future drivers, as I expect to see complains across the entire range. 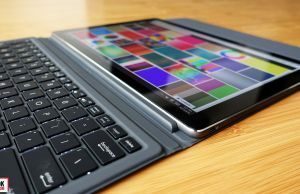 There’s a 12.6-inch touchscreen on the Transformer T305CA, with a 3:2 aspect ratio, a resolution of 2880 x 1920 px and a wide-gamut panel. The touch-related part works great and the display includes an NTrig digitizer that should work well with the Asus Pen you’ll find in the box with retail units. My sample didn’t include one, so I can’t tell you anything about its feel and performance. 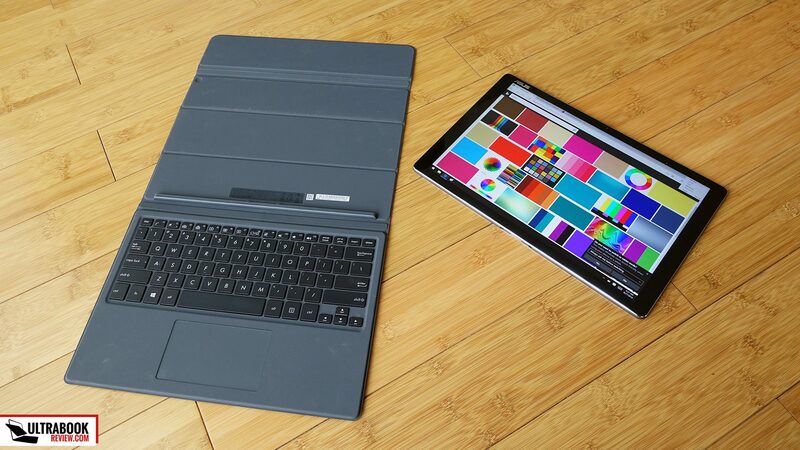 Compared to the panel used on the Transformer 3 Pro, the one of the T305CA is brighter and with a superior contrast, which makes it usable in strong-light as well, although you’ll still have to live with the glare caused by the layer of protective glass on top. 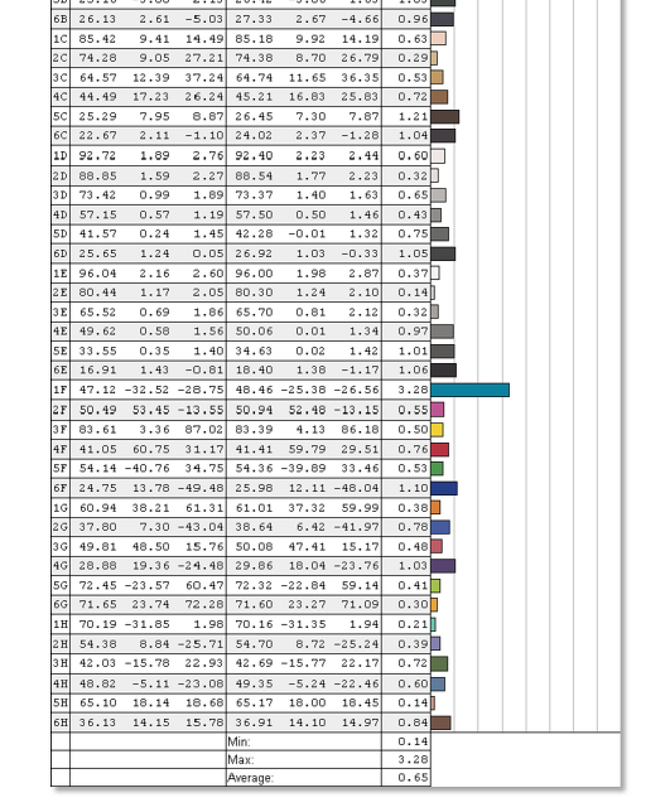 The color coverage remains top notch, with 87% AdobeRGB coverage measured in our tests, but the screen gets a fairly strong blue-hint out of the box and pretty poor color uniformity, so I suggest calibrating it or using our ICC profile available over here. You’ll find more details about the panel and its performances below. The results are measured with a Spyder4 Elite sensor. 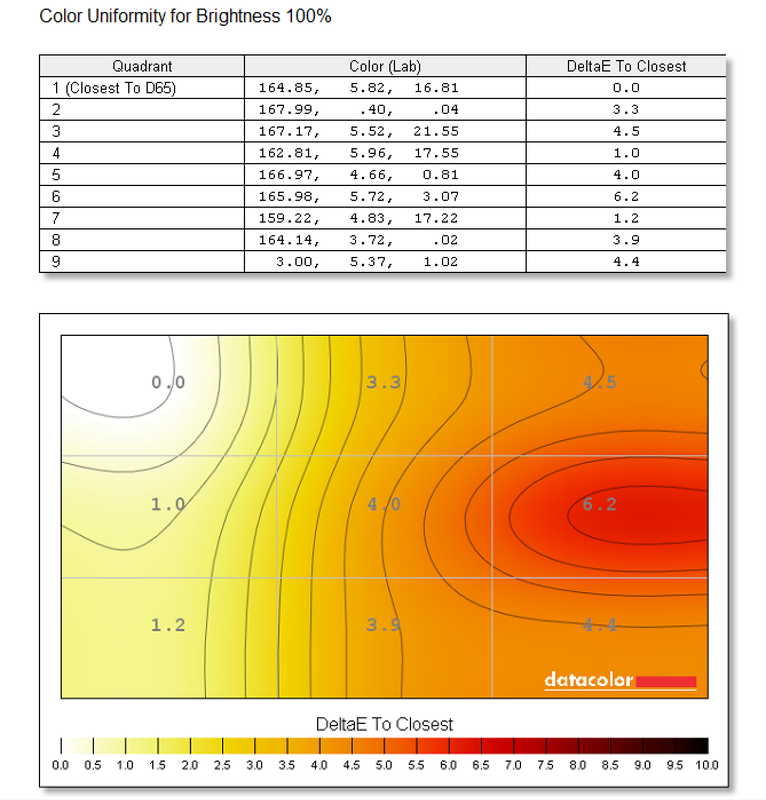 Average DeltaE: 0.65 uncalibrated, 0.64 calibrated. Just like I mentioned in the T305UA’s review, I don’t have the tools to test for PWM, but I did notice some screen flickering on solid colors at low brightness with the naked eye, so that’s something to further look into. 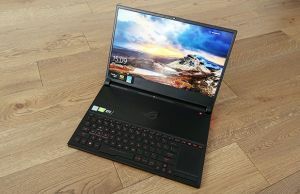 This device is built on a fanless Intel Kaby Lake hardware platform, and our test model came with a Core m3-7Y70 processor with integrated Intel HD 615 graphics, just 4 GB of RAM and a fairly slow 128 GB SATA SSD. 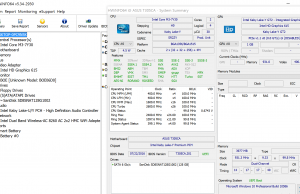 The RAM and the CPU are soldered on the motherboard, yet for storage a Sandisck Z400 SD8SNAT-128G-1002 unit was used, which suggests an 80 mm M.2 SATA drive that can be theoretically replaced with something else. 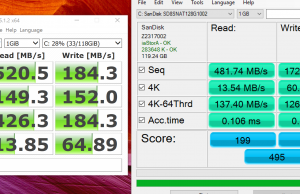 That’s a B-M key SSD though, so faster PCIe drives are probably not compatible (they’re not even listed as options on Asus’s site) and actually opening up this device is a complex process I wouldn’t recommend to casual users, as the chance of cracking the screen if you don’t know what you’re doing is pretty high. In other words, get the configuration you want from the beginning. 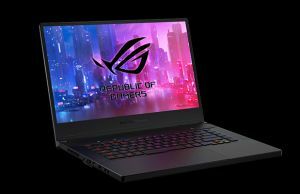 Higher end configurations with Core i5 and i7 Y processors, up to 8 GB of RAM and 512 GB of storage will be available once this product is officially released. When it comes to performance, I can say that the Core m3 configuration on our test sample did not perform to the best of its abilities, as it was not capable of fully utilizing the Turbo Boost speeds advertised for this processor. That’s not unexpected from early samples, so we’re not going to get into benchmarks results. 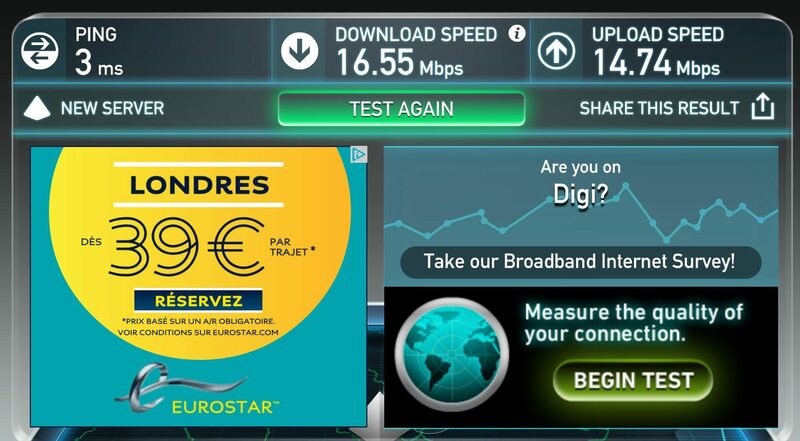 However, despite that the daily use experience was pretty good. 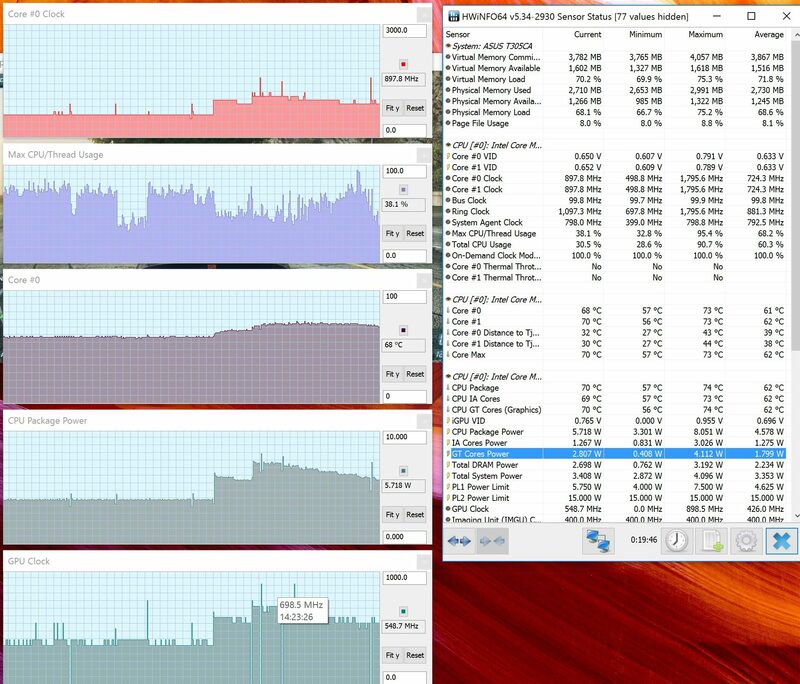 Our sample was able to run video content of any sort easily, including 4K and HEVC and felt snappy in light-daily multitasking with Office, a browser with 7-10 tabs open and Skype running at the same time. 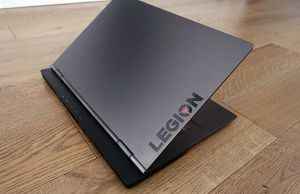 Do keep in mind there’s a Core Y processor inside this thing and don’t expect flawless experience once you push multitasking more and don’t expect to run demanding software on this Core m3 with only 4 GB of RAM. 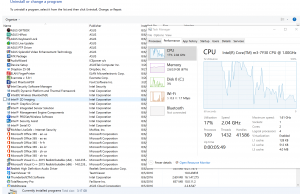 Also, in order to get the most out of this computer you should take care of the bloatware that comes preinstalled or better yet perform a clean Windows reinstall. 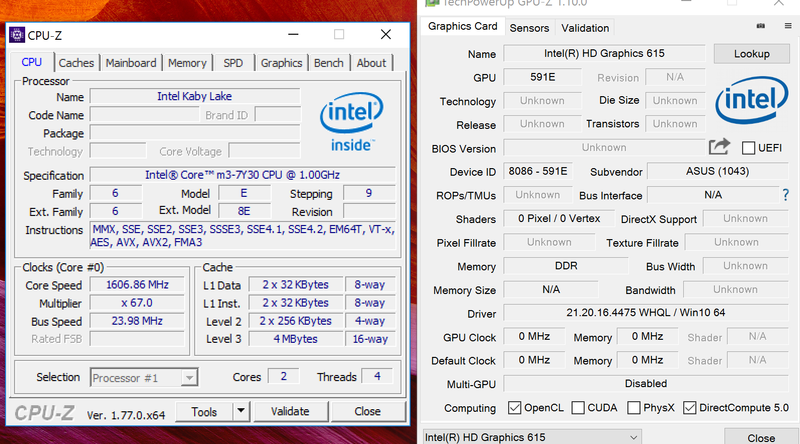 Even with the CPU’s speed capped down, I was able to run Minecraft well though and even Need For Speed: Most Wanted with low details at decent frame rates, so there’s some oomph in that Intel HD 615 integrated graphics chip, but I can’t yet tell for sure how it compares to the Intel 515 graphics on the Skylake Core Ys based on this sample. 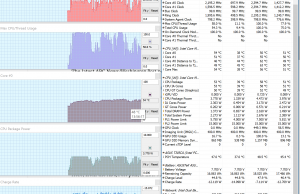 You’ll find more details on performance and temperatures in various use scenarios from the pictures below, but take them with a grain of salt, I expect the retail configurations to fare much better under load. Of course there’s always the option to opt for the Core i5-7Y54 or the Core i5-7Y75 configurations, but I don’t think that’s a great idea. Those are still Core Y processors with limited TDPs and they can’t offer much before getting TDP and thermally limited on such a thin design. 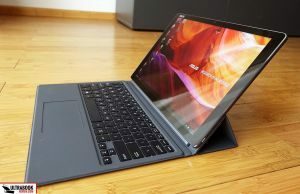 My advice would be to go for a different platform if you need the performance (like the Core Us in the Transformer 3 Pro) and aim for the Core m3 configurations with 8 GB of RAM on this device if you want a fanless tablet able to provide decent performance for casual use and daily tasks. There’s no fan inside the T305CA, no spinning hard-drive and I haven’t noticed any coil whining or electric grinning either, at least not something you could spot at ear level, so in summary this thing runs dead quiet all the time. Outer-case temperatures are fairly good as well. For daily use, most parts rest at around 35 to 37 degrees Celsius, which might cause your hands to sweat on hot summer days, but otherwise are within the comfort limits. 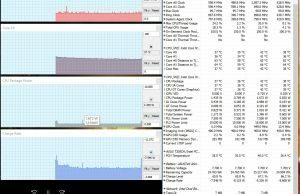 On heavy loads certain spots will get closer to 45 degrees Celsius and it gets unpleasant holding the tablet at this point, but you’re not going to feel the heat in “laptop” mode. Keep in mind we had the basic Core m3 configuration here, the Core i5 and i7s will get hotter, which is another reason to consider the m3 as your first pick. Connectivity wise there’s Wireless AC, WiDi and Bluetooth 4.1 on this device. 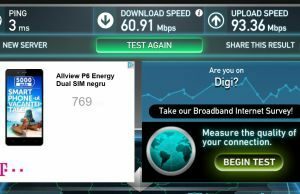 Asus went with a dual-band Intel AC 8260 wireless module on the test unit, which performed very well when close to my router. 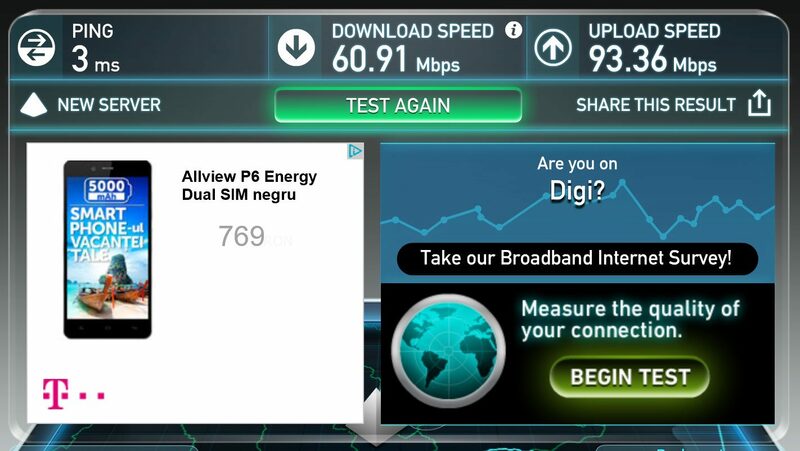 The speeds and signal strength dropped significantly at 30 feet with 2 walls in between in my apartment, but the tablet was still capable of loading websites and movies without any stuttering. And keep in mind I have some very thick walls over here, so expect it to perform better in your environment. The speakers are surprisingly good on this device. Asus went for 4 individual speakers placed on the lateral edges. Their grills can be obstructed by your hands when holding the tablet, but even so you’re not going to cover all of them at the same time, so the audio quality isn’t going to suffer that much. And speaking of that, the sound coming out of those speakers is loud (around 92 dB at head-level in our tests) and really punchy for this class, with good mids, no distortions and even a little bass with the Music profile selected in the included Audio app. I can say these speakers easily put the iPad Air to shame and are probably some of the best you can find on any slate right now. The cameras on the T305CA are not bad either. There’s a 13 MPx main shooter on the back, for those of you that might take pictures with a giant slate (Don’t! 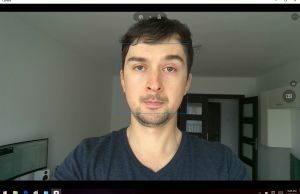 ), and what matters more to me, a 5 MPx front shooter that provides some decent shots for your video calls, at least in good light. The microphones are fairly capable as well and they are placed on top of the screen. 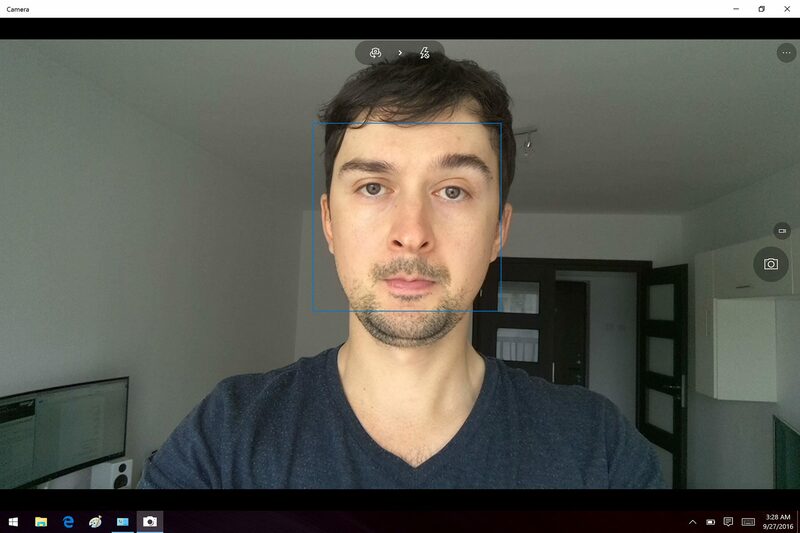 There’s no IR camera for Windows Hello like on the Transformer 3 Pro, but I find the use of the fingerprint-sensor much more convenient and accurate for logging in anyway. There’s a 39 Wh battery on this tablet, paired with a Core m3 processor on one side and a bright wide-gamut screen on the other, so the battery life results are average at best. Check out the numbers below (the screen’s brightness is set at 25%, around 120 nits, and the Keyboard Folio was hooked up in all tests). 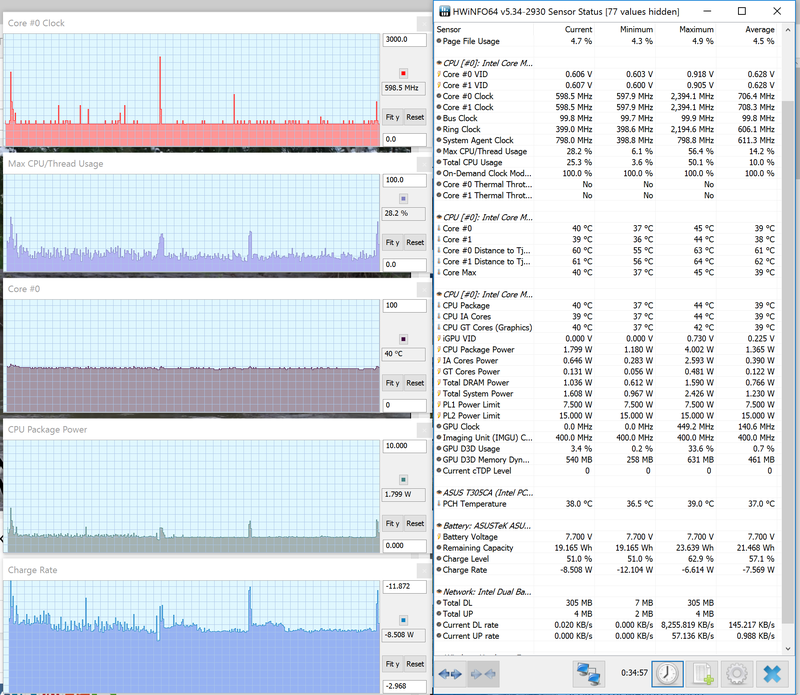 12.5 W (~3 h of use) – heavy browsing in Edge, Balanced Mode, screen at 25%, Wi-Fi ON. 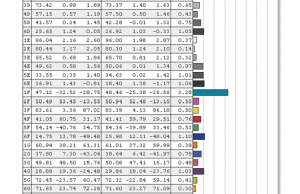 The results are higher than I was expecting and mostly on par with the Core i7 U version of the Transformer 3 Pro. 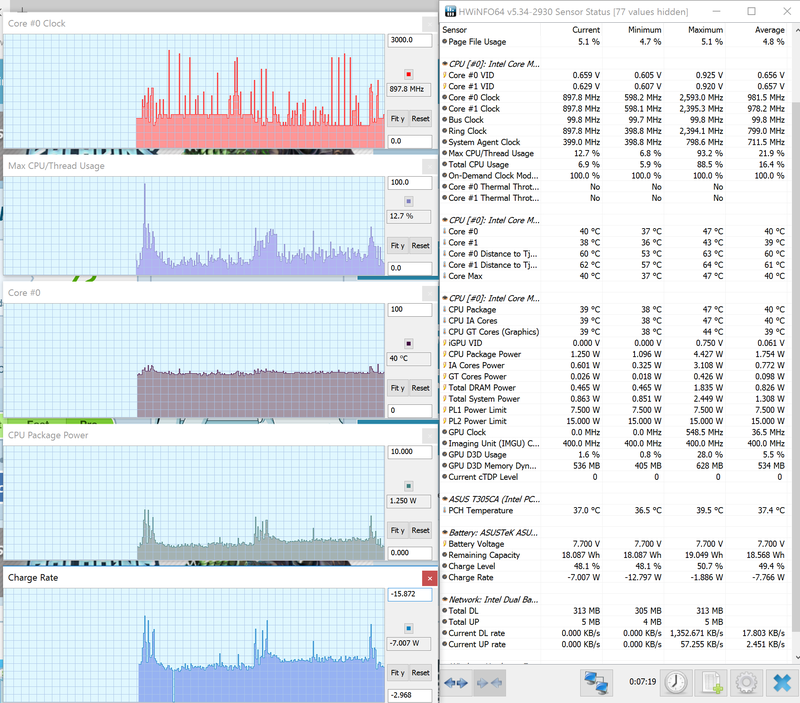 I was hopping the Core m3 processor to have a more significant impact on energy consumption, but that didn’t happen here. Still, that might be the case with the final retails units, so take these measurements with a grain of salt for the time being. 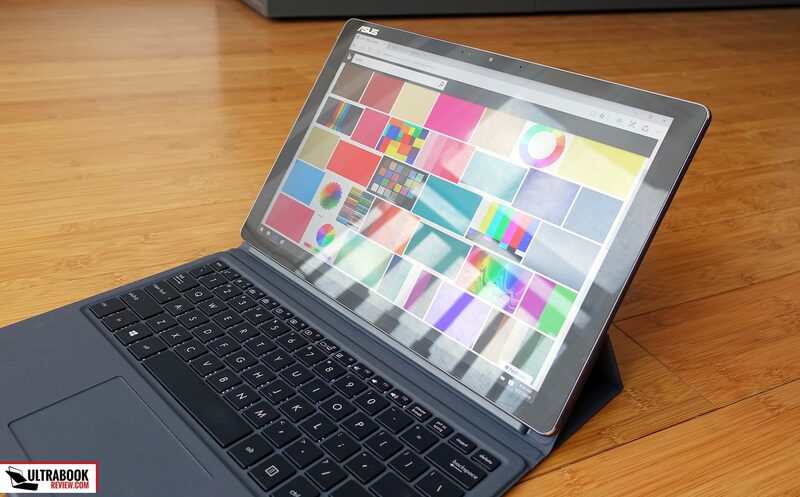 The keyboard folio eats around 0.5 to 1 W by its own (1 W with the illumination at max, 0.5 W with it switched off), so that means the tablet-alone will last a little longer in all situations. 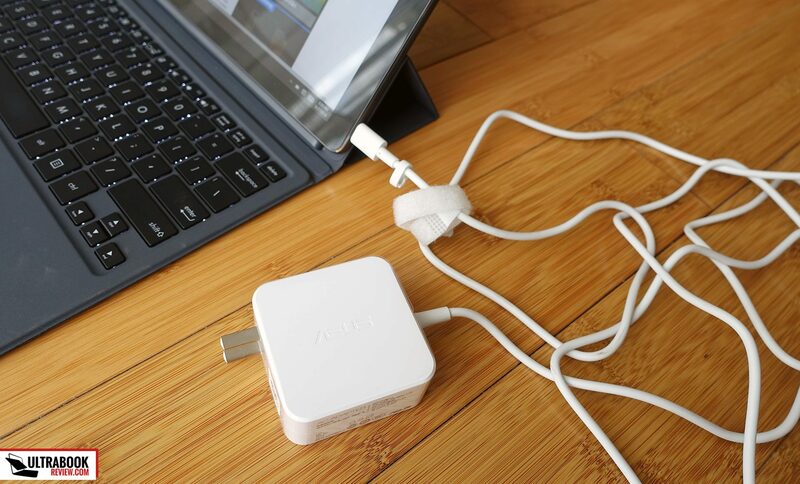 A 45 Wh charger is included in the pack without retractable prongs. Oddly it’s white and not black like on most other Asus devices, which means it stands out more and that’s not something I appreciate. The tablet charges via USB-C. 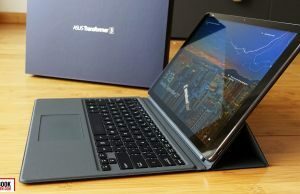 The Transformer 3 T305CA is not available in stores at the time of this article and I don’t have exact info on when it will be launched, but rumors point towards November, with a starting price of $749 in the US for the base version, which should be very similar to the one available here. The keyboard folio, the pen and a basic adapter (USB-C, USB-A 3.0 and HDMI) are all included in the default bundle. Like I said earlier, I’d recommend going for a Core m3 configuration on this device, preferably with 8 gigs of RAM and 256 GB of storage, if this model has a competitive price. We’ll see, I’m going to update this section once more details are available. 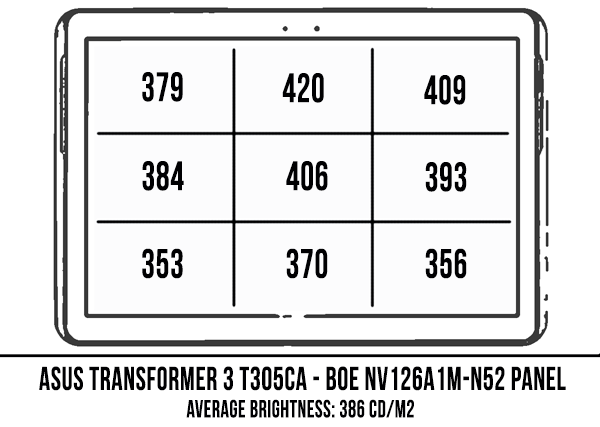 From what I can tell right now, the Transformer 3 T305CA checks many of the right boxes. It’s built well, it feels great in hand, it packs an excellent screen with pen support, it gets some great speakers and should offer adequate performance and battery life for daily use. However, I can’t draw a final conclusion on these latter two aspects based on this pre-production sample built on an early Kaby Lake platform, which did not perform at its best nor in terms of speed or in terms of efficiency. 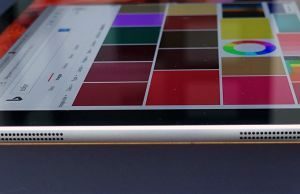 Even so, the Core m3 platform was snappy enough for daily use, but the battery life readings were short of my expectations, and if that’s going to be the same on the final units could be a deal-breaker for this tablet. We’ll see. My other nits are with some of the design decisions. 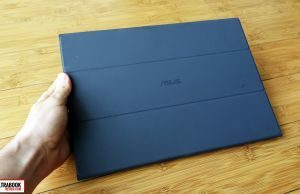 In order to make this slim and light, Asus cut off the kickstand on the back and opted for a limiting keyboard folio, which combined hinder the experience in tablet use or when typing anywhere else but on a roomy flat surface. That means you’re not going to be able to use the tablet on its own unless you’ll hold it in your hands and you’ll struggle to type on the lap or in any cramped spaces, due to how the folio was conceived. 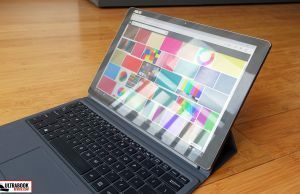 These aspects alone would make me think twice before choosing the Transformer 3 over its main competitors, which are mostly the Surface Pro 4, the HP Spectre X2 and perhaps the Samsung Galaxy Tab Pro S.
The first two offer smaller screens and kickstands, while all three are built on Skylake Core Y platforms, at least for the time being, but that’s not a deal-breaker since Kaby Lake is not a significant upgrade over Skylake. 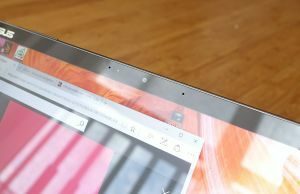 The Surface gets expensive once you add-up the folio and is only available with very basic specs, but is quite efficient, while the Spectre x2 has an excellent price and very few flaws as you’ll see from our review, so the only reason not to consider it would be its potential unavailability in your region. As for the Galaxy Tab Pro S, this one is highly portable, but lacks a kickstand, its keyboard is very shallow and the battery drains up quickly. 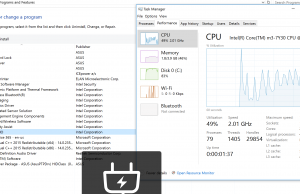 With that in mind we’ll wrap this up here, but stay tuned for our future updates that should shed more light on the performance, battery life and prices of the final Transformer 3 T305CA units. In the meantime, if you have anything to add or any questions, get in touch in the comments section below. Thank you for your excellent review! Well, the screen seems too bright and I do like the kickstand on T303UA, so T305CA might not be a good choice for me. Since T303UAK requires tons of patience, I would probably go with a GS63VR instead, though it is much heavier. 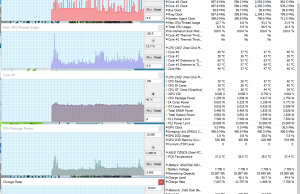 Anyway, it is literally a horrible time to replace my old laptop now: most ultrabooks in stock lack 4K@60Hz output. Right, thanks for the headsup on this and the T303CA matter. 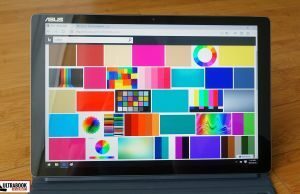 I thought that the Transformer 3 used the same display screen as the Transformer 3 Pro – so why is its display screen so much brighter? I thought so too, but it’s actually a different panel, see the model names. 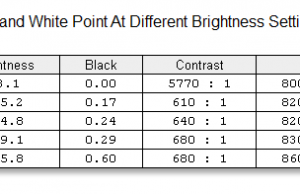 If you’ll also look on the official T305CA page on Asus’s website, they mention he 450 nits brightness for the screen, while on the T303UA there’s no mention of that, yet the spec sheets I have mention 300 nits. My assumption is they went with a lower-brightness screen in order to prevent abysmal battery life. Also keep in mind I’ve tested pre-production versions of both Transformers, but I don’t think the screens are going to be any different on the retail models. Is Still nothing about UX510uw? I got it today, I’ll take care of it in the next few days and I’ll have the post up in maybe around 10 days. I have 3 other reviews scheduled before that I’m working on. Sry for the delay. the core i5 (7Y54) and i7 (7Y75) here are the same built as the M, diffeent configuration than the core 6200u and 6500u, intel’s branding is misleading here. I agree, previously all the Core Ys were m3, m5 m7, now with kabylake they have the Core m3, Core i5 and Core i7, all part of the Core Y line. The core i5 & i7 have fixed function GPU part that would allow your YouTube test results to be much better regarding battery life. I hope you will actually get those review units because the m3 is not an appropriate recommendation due to poor battery life as you alluded to but seem conflicted on. I’m sorry but I don’t understand what you’re saying by “fixed function GPU”. Care to elaborate? When and where can I buy this? Not seeing it on Amazon at the moment. Never mind, should have read a little closer. :) November. I’ve been looking at the Surface Pro 4 but I dont know if I want to spend that much on it. I love Asus stuff so this may be the thing I’ve been looking for. 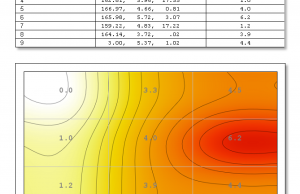 Thanks very much for this detailed preview – hard to find good info on this model! It's a bit disappointing that the screen is great in so many areas, but not so competitive in terms of contrast with the SP4. Also only 76g weight saving over the SP4 Core M3 despite being 1.5mm thinner and having no kickstand. 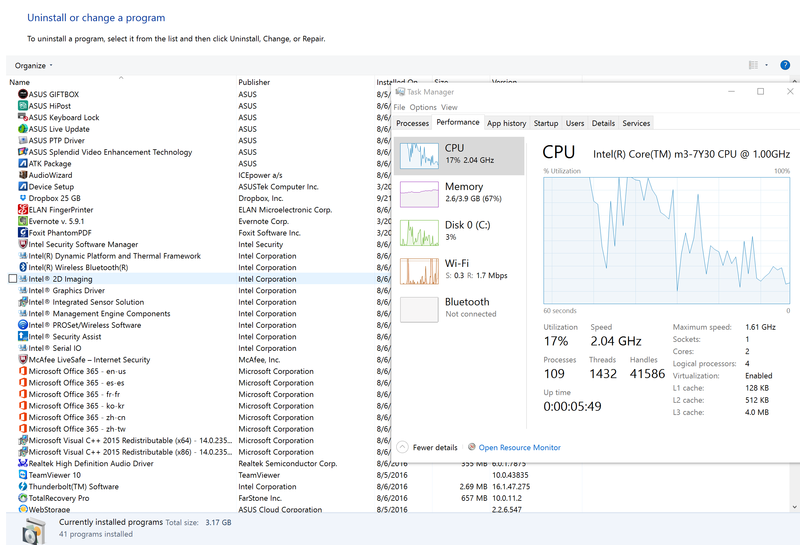 Still, it offers 8GB RAM option, which is really the main problem for me with the SP4. 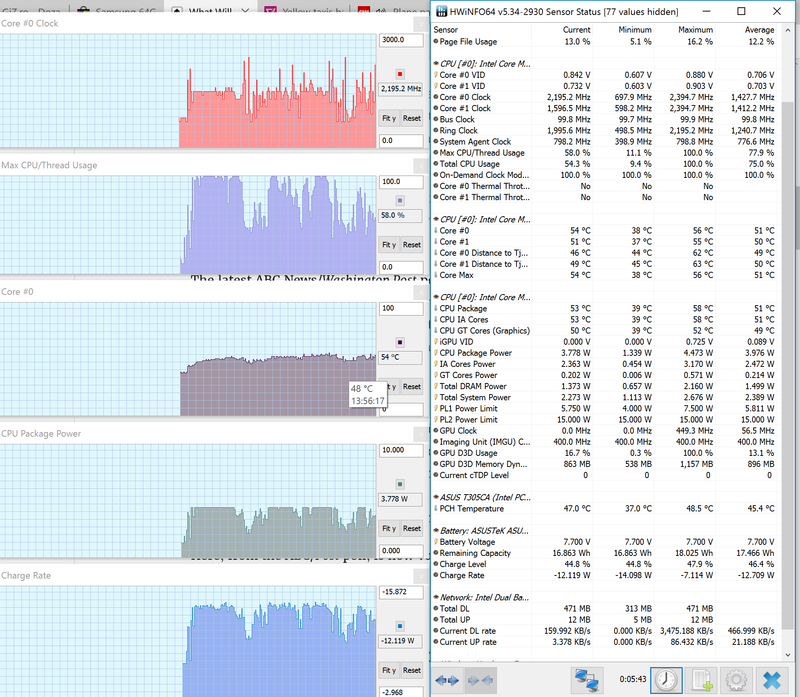 My current tablet has 4GB and Chrome gobbles it up voraciously. 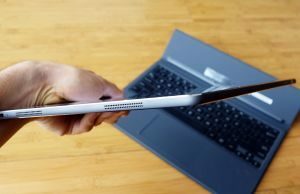 Even after years of low-power CPU development, it's really hard to find a decent, silent, fast tablet which can replace my iPad and a notebook. Sigh. 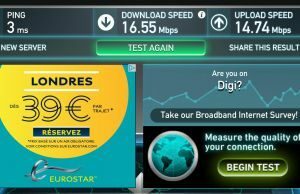 One question – what is the maximum res external display it can drive please? SP4 M3 seems to be limited in that regard too. Since it gets a Thunderbolt 3 port it should drive a 4K screen at 60 Hz. Haven't tried it though. Hmm thanks. I see the Asus USB-C IO docks only come with HDMI. 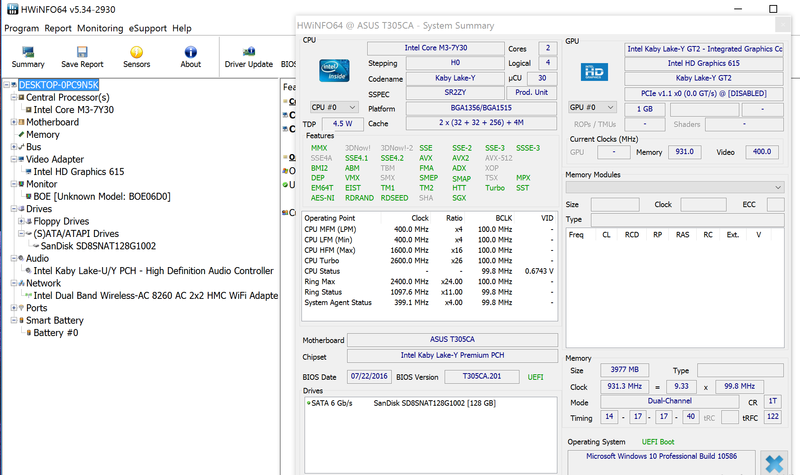 I guess you'd need a 3rd party one with DisplayPort to do 4k/60 (according to Intel's specs for the Core M3 7Y30). Yes, cause i don't think that's an HDMI 2.0 connection. Haven't tried it though, I don't have a 4K monitor around, perhaps you can find more about this from the forums. 1. Is this thing an UPGRADE or DOWNGRADE from the "Pro" version, which is $1300-$1500 US DOLLARS??? 2. 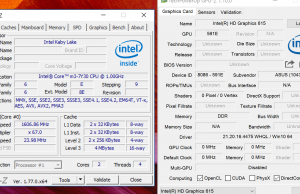 CPU: iIs "Kaby Lake," but is it i7 or something inferior? 3. RAM: "Pro" IS 16 GIG; if this thing is only 8, why does it have brighter screen, no fan so quiet, and better battery life? 4. How much in US dollars does it cost? 6. 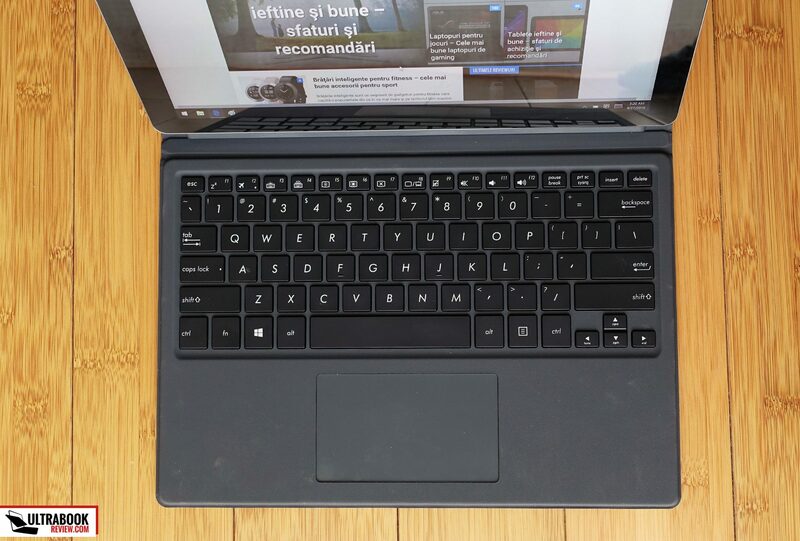 Does the keyboard work when detached, like the Asus 5 in 1? Well, its' different. 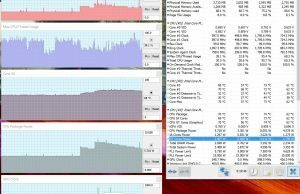 This one is built on a fanless Intel COre Y platform, so it's not as fast as a COre U device like the T303, but it doesn't have a fan. 3. Yeah, I can't understand why they went with a dimmer screen on the T303 either. 4.5. Don't know, ask the local Asus dealers. Thank you for your through reply! I just ordered the T303, so I'll see if the screen is actually bright enough for my purposes, all of which are music related. 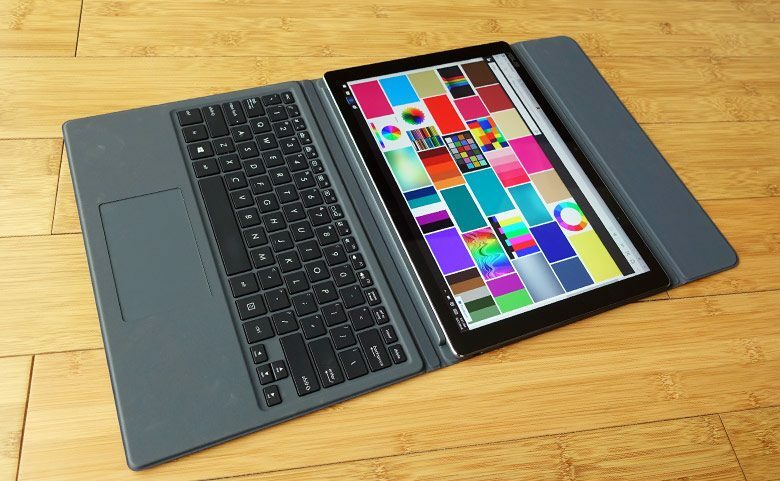 As to keyboard, since I will be using the device in portrait mode, I'll have to get a $50 fold-able, CD size bluetooth one (the Microsoft one, I think). I don't know why this is such a problem for manufacturers. 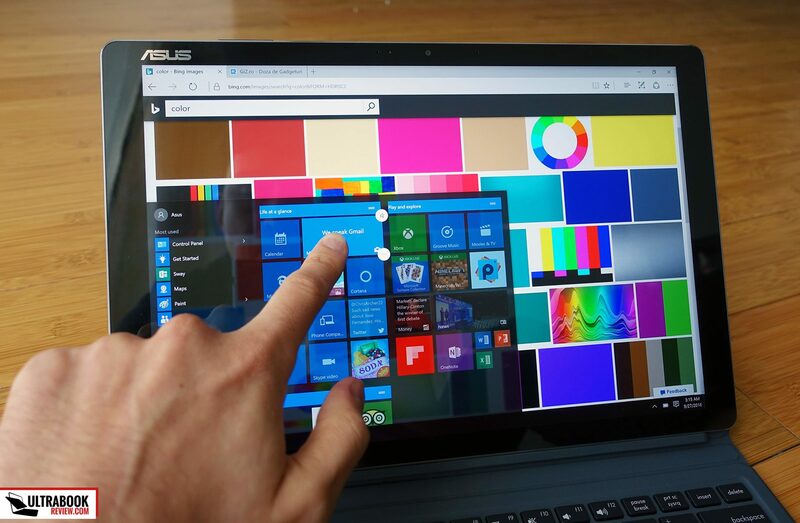 Apparently, the impending Surface 5 will have this feature. 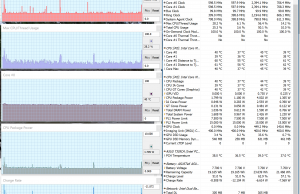 I do need the i7 CPU for the demanding music applications. Thanks again! If you can share your feedback after a while, it would be greatly appreciated. I bought the "Pro" version, and it's fantastic so far! More later…..
Nearly Christmas and still no sign of a release (although it is filtering into some European shops as pre-order). Come on ASUS! I finally gave up and bought a surface. Got it on Black Friday sale for nearly 999 for the i5 256 with a keyboard. 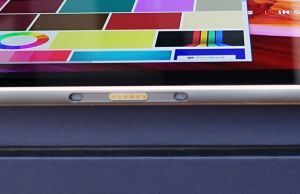 I feel that many reviewers haves missed the point of the T305 in the same way they missed the point of the Huawei Matebook. 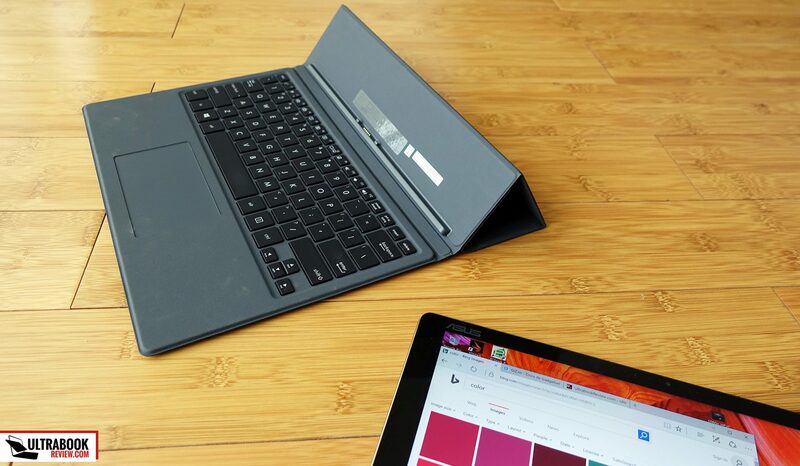 Many reviews say it is lovely, sleek and light BUT where is the kickstand? But they miss the point: if the Surface Pro is too heavy for you (like it is for me) this gives you an option that is nearly the weight of a smartphone lighter. If that weight does not worry you, go buy the Surface Pro or the T303. 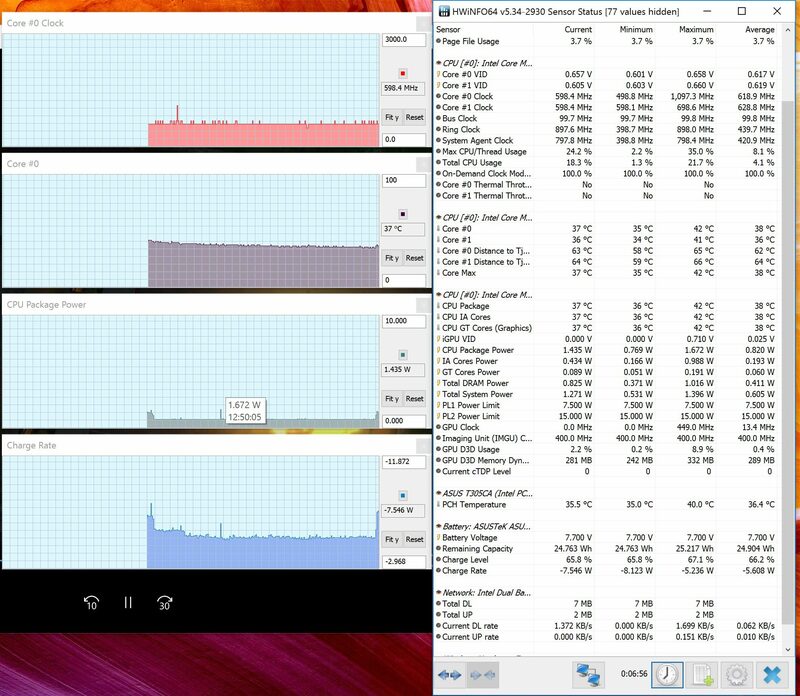 This (and the Matenook) are tablets first, Ultrabook's only a long way second. It's not really clear to me if this product came to market. What's the story? Is there a t305CA North American release date planned, or is it just going to fade away? 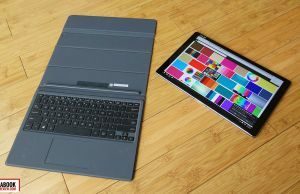 So if I were to choose between Asus Transformer 3 T305CA and Samsung Galaxy Tab Pro S, which one would you highly recommend? 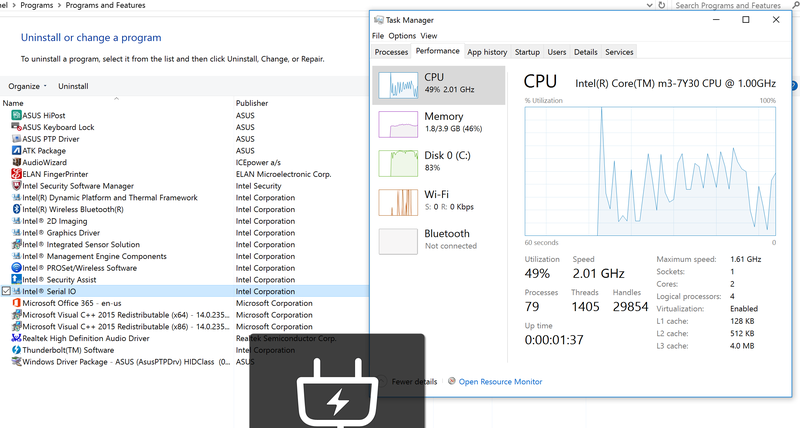 I don't know, but ASUS apparently discontinued the Transformer 3 PRO, and the current, not PRO version is an apparent downgrade, and lacks Thunderbolt. I'm waiting to see what the SP5 looks like. In the meantime, check out the Acer Alpha Switch 12. That's what I'm getting now. 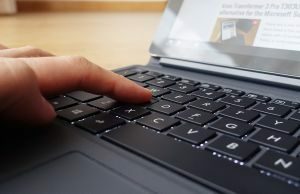 Hi, Is the keybaord a real connection, or simplya bluetooth keyboard attached by magnets?